Well, we’re in the last month of the pro baseball season and let me tell you I’ve had a great time following my favorite teams. It’s been a great journey following my favorite players and keeping up with the thrill of their victories and the sadness of the defeats. But what’s different is that I’m following a totally different team than I had planned on from the start. You see, I had been a huge baseball fan growing up. I played little league and minor league baseball and was a pretty good little second baseman. During my first relationship, I fell behind in keeping up with my favorite pasttime because he didn’t share the same interest and I didn’t want to put him through all that since he was quite a vocal guy when it came to things he didn’t care for or wanted to participate. Thankfully, my beautiful beau today cheers on my interests and ushers me to do what makes me happy. So I eagerly took the chance to enjoy it. I came in prepared to cheer on the Atlanta Braves as the team is the area favorite. Through the ease of the internet, my Playstation 3 and MLBtv, I had myself all set to sit back and take in every pitch. Then I quickly learned about blackouts and that I would not be able to watch the Braves games live (but you can watch it an hour and a half later, though that defies logic since i already know how it ends). You see, they want you to watch the games on local tv or even travel to the games… which totally makes sense to me. What totally doesn’t make sense to me though is that I live in Nashville, Tn….probably a good 6-8 hours away from Atlanta depending on traffic, and the games don’t play on my basic cable/local television stations. It’s make more sense to me if I was in a 4 hour radius or the games actually played locally. They want to corral me into seeing the games locally but the conditions in this area just don’t support it. Baffles me. It feels like commercial suicide. You want me to be a fan, but take away any means for me to be a natural fan. I don’t want to be a fan an hour and a half later than everyone else. 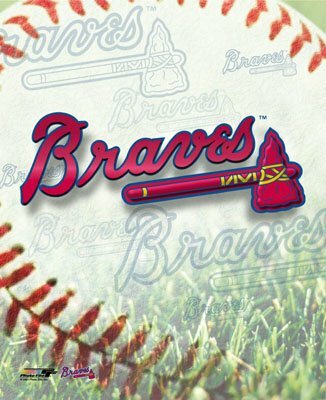 In any case, I’ve fell behind keeping up with the Braves and have spawned a new love for another couple of teams. I rekindled my childhood love of the Oakland Athletics. They were my favorite team playing through my baseball years and they have become my favorite team today. We’ve had an underwhelming season but I’ve enjoyed every single minute of it. We may not have a chance at winning our division this year, but the team has great energy, pride and personality. The players feel like friends to me now and I eagerly keep up with all the news, moves and games. Keep going strong with the green and gold! 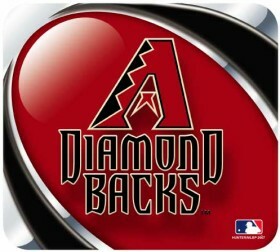 I’ve also been keeping up with the Arizona Diamondbacks. The beau lived a good portion of his life in Arizona and enjoyed being there so much. Taking part in the successes of this team feels like I’m cheering on a part of his life. They look like they’re going to be winning their division and maybe even have a shot at the World Series this year. I’ll def be rooting them on if they make it that far.